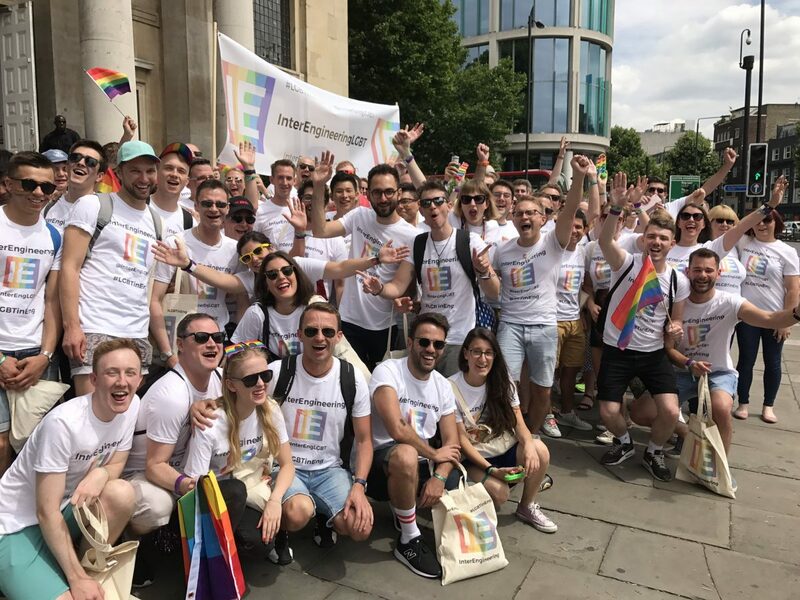 This year we extended our reach and attended more prides than ever! Our aim is to be more visible each year to promote being LGBT+ in Engineering. Our Midlands Co-chairs Shaun Peacock and Charlotte Robinson and Secretary Peter Gracey marched on the 27th of May 2017 at Birmingham Pride. 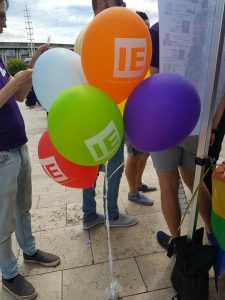 InterEngineering joined forces with the Alliance Network to take part in the march. The parade was filled with colour and excitement to celebrate LGBT+ inclusion and diversity. Our South West group organised a Gender Diversity Seminar as part of this year’s Bristol Pride. Click here for the article on the event. The parade was the biggest yet and included many engineering companies such as Rolls Royce and EDF Energy just to name a few. We also had representation in the Bristol Pride community area along with our members in the area including DE&S, Dyson and Babcock. 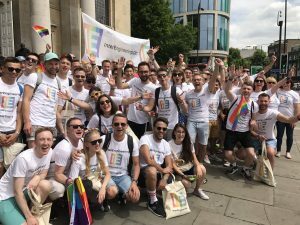 After the success of last year’s London Pride March, we had over 100+ engineers march in this year’s London Pride March. 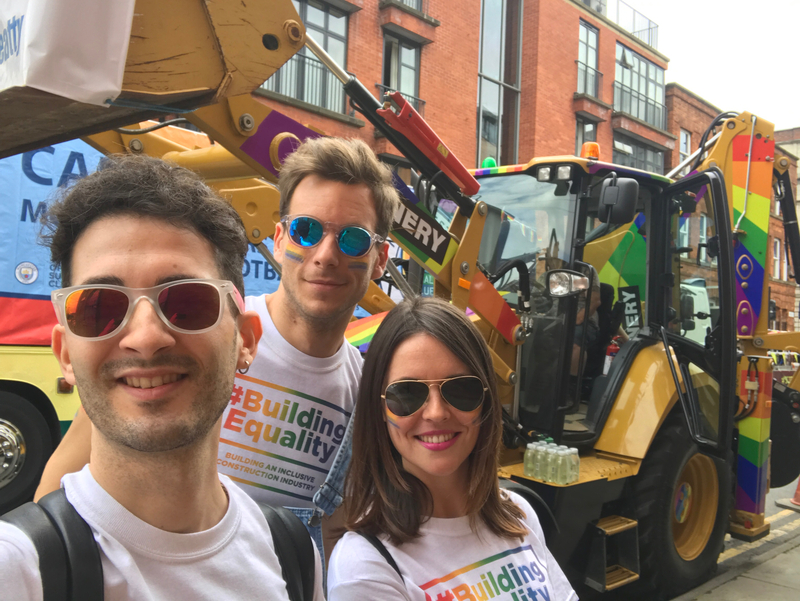 We marched with right next to the Building Equality group’s JCB and then joined the Building Equality after party to celebrate the our success. 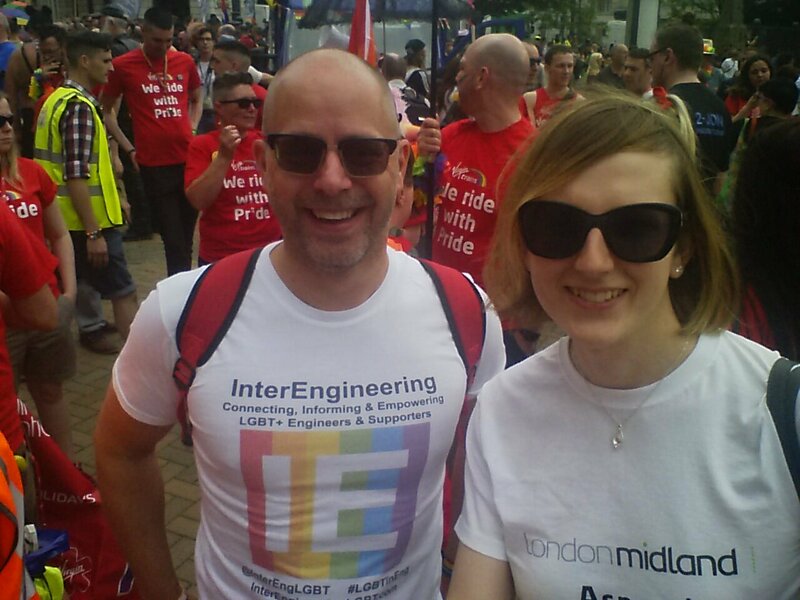 Next year we aim to be bigger and bolder to showcase LGBT+ in Engineering. Joining forces with Building Equality our North West Fran Maldonado marched in for the first time in Manchester Pride. Fran represented InterEngineering marching right along side the the Rainbow JCB!